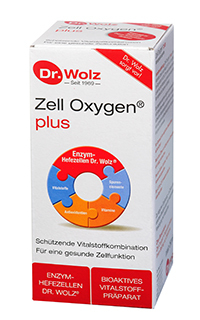 A new consignment of Zell Oxygen has arrived from the Dr Wolz company in Germany; and the packaging is all new! Rest assured we have the English version, but for now we only have pack shots in German. We aim to have the images of the English Zell Oxygen packaging online very soon. We think it looks lovely, really bright and vibrant, and it gives a real feel for the comprehensive nutritional package that we find in the wonderful Zell. This supplement is in our broad spectrum range, and supplies the full B Complex in a totally natural form and so much more. It has been used clinically with great success. As ever, any questions, do please let us know.